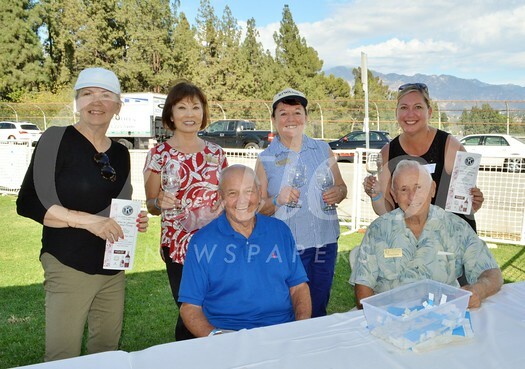 The Kiwanis Club of La Cañada recently celebrated its 16th annual Wine & Gourmet Food Tasting event at Memorial Park, a fun community event with live music, gourmet wine and food tastings and a premium wine auction. This annual event is presented by the Kiwanis Club, the La Cañada Flintridge Chamber of Commerce and Rosso Wine Shop. More than 20 restaurants, caterers and food specialty shops served tastes of their cuisine along with wine purveyors pouring wines from different regions around the world. The event this year was coordinated by Mary Gant and Clyde Hemphill of the La Cañada Kiwanis.